Internet Safety: Ensure safety with Le VPN’s VPN services. Optionsbleed is a bug through which apache server configurations can leak server memory. In this case the hackers can make the apache reveal more than the required data. Just to let you know that Optionsbleed can be exploited only in selected server configurations. However, this vulnerability of Optionsbleed has raised concerns about the internet safety. Through this bug attackers can easily get vital information which can be harmful for the internet users. With these types of issues it has now become even more important that we opt for better options for internet safety. It is important that we keep out privacy and security safe in the online world. Nowadays, it is necessary to make sure that prying eyes are not trying to invade into our personal information. One of the best ways to add more layers of security is a virtual private network service. In VPN service you can keep your identity protected. It is the best way to get secure connections even if you are using public Wi-Fi. A VPN encrypts all the traffic. However, while selecting the VPN service provider, you have to be sure that you select a good service provider. There are many internet users who think that they can just go in for any service provider. It is easy for anyone to fall prey to offers given by free service providers. This way they put their internet safety at risk. It is therefore important that you select the best VPN service provider. Le VPN is one of the best in this regards. Le VPN has servers across several countries. Additionally, Le VPN do not store the logs of any of its customers’ online activity. Hence, Le VPN does not compromise with the internet safety of its clients. Le VPN helps improve your internet security in more than one way. A top-secret level cipher encrypts your internet connection. As a result, no external threat can reach your sensitive information. You get a secure internet connection even if connect to a public WiFi like café or railway station. This is possible as your computer is hidden behind numerous Le VPN’s VPN servers. That’s not it, you would be surprised to know that Le VPN servers also repeal majority of malicious threats. Le VPN is compatible with different types of devices and it supports different operating systems. They also have smartphone apps to keep you secure when you are on the move. When you use Le VPN you can easily switch between protocols as per your requirements. It also helps you overcome problems of internet censorship. You can watch all your favourite programs from anywhere. 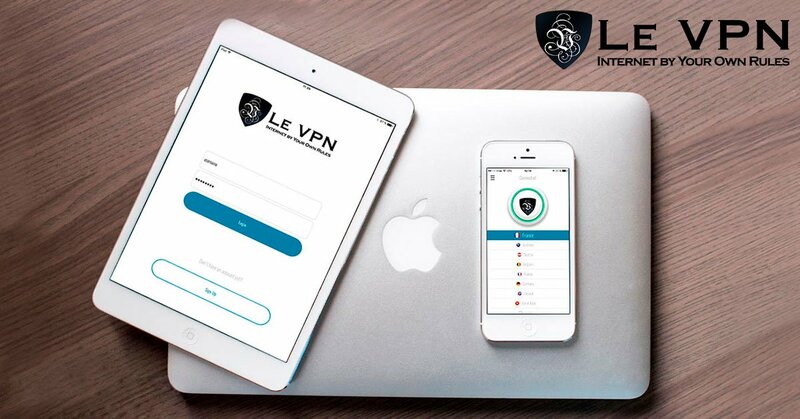 With Le VPN you can be sure that your internet safety is not compromised even when you are connected to public WiFi. You can use public hotspot. You can browse anonymously and keep hackers at bay.